Tivoli is the second of my Garden Series of geometric designs. This series was named because the outlines resemble some of the designs used in traditional formal gardens. As in predecessor Twickenham, the garden paths here are outlined in a Flip-flop Diagonal Hungarian that creates a soft "rickrack" edge. 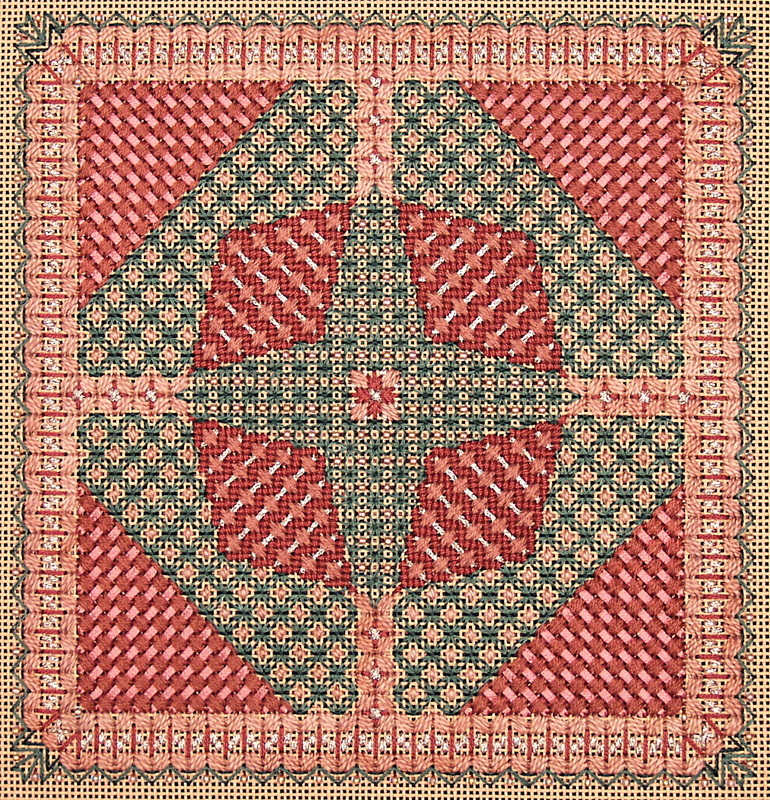 The interior fillings in the shapes created use a variety of needlework techniques that include couching and open canvas patterning along with what appears to be blackwork. However, the blackwork areas can be executed in either reversible blackwork or in an open oblong cross arrangement that is easierand much quicker. The original model is executed in complementary shades of mauve and green to suggest a garden setting. However, almost any two colors can be combined to make a successful design as long as similar value contrasts are maintained in the threads chosen.